This past July (2016), the First Department became the first appeals court in New York to recognize the “intra-firm privilege,” holding that certain communications between a lawyer and his or her firm’s General Counsel are protected by the attorney-client privilege. The decision in Stock v. Schnader Harrison Segal & Lewis LLP, 35 N.Y.S.3d 31 (1st Dept. 2016), overturned a lower court decision that had caused concern and uncertainty within the Bar in general, and in the professional responsibility community in particular. 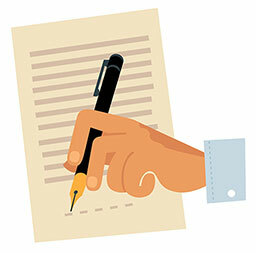 The intra-firm privilege raises a fundamental question about the legal profession — specifically whether a law firm, like any other business, can protect communications between its employees (lawyers) seeking legal advice and the company’s (the firm’s) in-house counsel or whether the analysis somehow changes because the lawyer-employees seeking legal advice are fiduciaries acting in the course of representing a client. The arbitration was unsuccessful, and Stock sued Schnader Harrison for malpractice. In the course of discovery, Stock sought 24 documents reflecting communications the Schnader Harrison partner (who represented Stock) had with other lawyers at the firm, including the firm’s General Counsel. The communications took place while Schnader Harrison was still representing Stock in the arbitration; the plan administrator had subpoenaed certain Schnader Harrison lawyers, who consulted the firm’s General Counsel about their ethical obligations under New York Rule of Professional Conduct (RPC) 3.7, the attorney-witness rule. Schnader Harrison argued that these documents were protected from disclosure under the “intra-firm” attorney-client privilege. The trial court disagreed, holding that the documents were discoverable under the “fiduciary exception” to the attorney-client privilege. According to the trial court, because Schnader Harrison, as Stock’s law firm, was a fiduciary with special obligations to Stock, Stock “ha[d] a right to disclosure from his fiduciaries of communications that directly correlate to his claims of self-dealing and conflict of interest.” Stock v. Schnader Harrison Segal & Lewis LLP, No. 651250/2013, 2014 WL 6879923 at *2 (Sup. Ct. N.Y. Co. Dec. 8, 2014). The First Department unanimously reversed, holding that the fiduciary exception did not apply and the communications at issue were privileged. The Court reasoned that when the Schnader Harrison attorneys sought the advice of the firm’s General Counsel, they were doing so not to discharge any fiduciary duty to Stock, but rather to “receive appropriate legal counsel about their [personal] ethical duties.” Stock, 35 N.Y.S.3d at 40. Thus, the Court held, “for the purposes of the in-firm consultation on the ethical issue, the attorneys seeking the general counsel’s advice, as well as the firm itself, were the general counsel’s real clients.” Id. at 33. The Court noted that the general counsel did not bill Stock for any of the time spent consulting with the attorneys — whether the attorneys billed for their time is unclear — and the general counsel “never worked on any matter for [Stock].” Id. at 34. In other words, the Court treated the consultation with the firm’s general counsel the same as if the firm’s lawyers had sought the advice of outside counsel, which the Court noted would also have been privileged. As a result, the Court held, New York’s version of the “fiduciary exception” to the attorney-client privilege — which had mainly been applied to trustees in the past — did not apply here. The Court also declined to adopt the “current client” exception to the attorney-client privilege. Id. at 43-44. (Under the “current client” exception, a law firm cannot claim privilege for internal communications relating to the client’s representation, including consultations with the firm’s in-house counsel, that occurred while the representation was ongoing — at least until the client is aware that the client’s interests have become adverse to the law firm’s. See, e.g., Bank Brussels Lambert v. Credit Lyonnais [Suisse], S.A., 220 F.Supp.2d 283 (S.D.N.Y. 2002)). The Court ruled that the “current client” exception would create unworkable results for both the client and the law firm and observed that courts across the country, as well as the American Bar Association, had recently rejected this exception. Stock, 35 N.Y.S.3d at 44. Although commentators may question the Court’s ultimate reasoning in Stock [see “Why the ‘Stock’ Decision Is Wrong — And Why It Is Right,” NYLER, Oct. 2016], the decision represents the logical conclusion to the still-unsettled law surrounding the intra-firm privilege. The lower court’s ruling rejecting the intra-firm privilege was consistent with the earlier line of cases on the issue, as well as the New York federal cases which had addressed it. See, e.g., Bank Brussels Lambert, 220 F. Supp.2d at 286–88 (applying New York law and rejecting assertion of privilege on the grounds that lawyers’ internal discussions about potential malpractice liability created an inherent conflict between the firm’s interests and those of the client); see also Koen Book Distrib. v. Powell, Trachtman, Logan, Carrle, Bowman & Lombardo, 212 F.R.D. 283, 283–85 (E.D. Pa. 2002); VersusLaw, Inc. v. Stoel Rives, LLP, 111 P.3d 866, 878 (Wash. 2005) (citing cases). The First Department’s decision represents a more current view adopted by courts in several states across the country. See, e.g., St. Simons Waterfront, LLC v. Hunter, Maclean, Exley & Dunn, P.C., 293 Ga 419, 427–429 (Ga. 2013); RFF Family Partnership, LP v. Burns & Levinson, LLP, 465 Mass 702, 713–716 (Mass. 2013); Garvy v. Seyfarth Shaw LLP, 359 Ill Dec 202, 215 (Ill. App. Ct. 2012). These cases generally conclude that there is no reason why the privilege should apply to discussions about potential malpractice liability between lawyers in a law firm and outside counsel but not apply to discussions between lawyers and their firm’s in-house General Counsel. 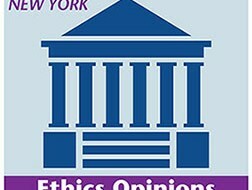 This view is also consistent with ethics opinions from the New York State Bar Association Committee on Professional Ethics and the ABA Standing Committee on Ethics and Professional Responsibility, which concluded that lawyers are ethically permitted to seek advice from their law firm’s general counsel about potential malpractice liability without creating an impermissible conflict of interest. See NYSBA Comm. on Professional Ethics Op. 789 (Oct. 26, 2005); ABA Formal Op. 08-453 (2008). While neither ethics opinion specifically addressed the attorney-client privilege (which is an issue of substantive law and thus outside of the jurisdiction of these committees), the conclusions of both opinions, which focus on the conflict rules applicable in this situation, run contrary to the cases cited above that recognized the “current client” exception. ♦ If there is actual adversity between the firm and the client, whether the client is aware of the adversity and, if so, whether the client has retained separate counsel. The last bullet point above is problematic owing to the conflict of interest that is created any time a law firm finds itself adverse to a client. The Stock court gets around this problem by distinguishing between the law firm’s client and the general counsel’s, holding that the firm lawyers were the general counsel’s “real clients.” It remains to be seen whether this reasoning will resonate with other courts striving to reach the same conclusion regarding the intra-firm privilege. The Stock decision reaches the right result and brings some much-needed clarity to a previously unsettled body of law in New York. At the heart of the decision is the idea that in the course of representing a client, a lawyer in a firm should be able to seek advice about his or her own conduct without the fear that those communications could one day be disclosed in litigation. This is the fundamental theory behind the attorney-client-privilege and, as the decision reasons, the analysis should not differ depending on whether the lawyer seeks this advice from outside counsel or from a person in the firm acting as the firm’s general counsel. Only time will tell whether Stock becomes the law of the land in New York’s three other judicial departments. In the meantime, however, law firms should strive to follow Stock’s guidance in order to improve the likelihood of courts throughout New York recognizing the intra-firm privilege. Tyler Maulsby is an Associate with Frankfurt Kurnit Klein & Selz, P.C., in the Legal Ethics & Professional Responsibility and Litigation groups.